Sebastian Maniscalco has a problem with people, lucky for the rest of us, his annoyance results in some of the funniest stand-up comedy around. 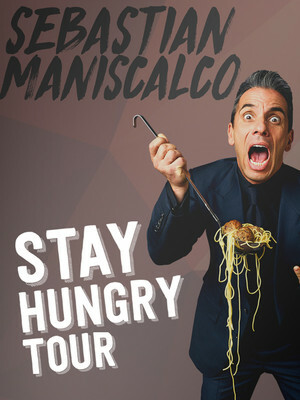 Sebastian Maniscalco's Stay Hungry Tour! 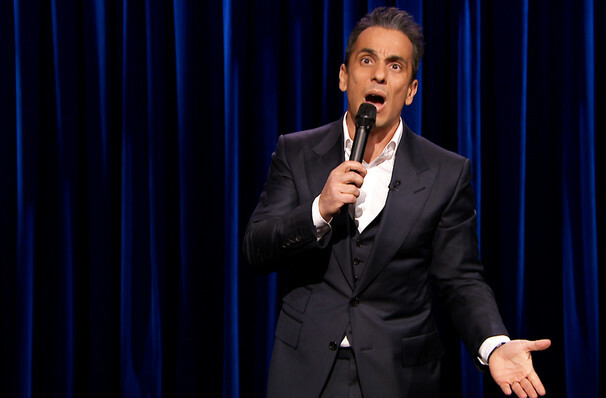 Comedian extraordinaire Sebastian Maniscalco continues to bring laughter with his Stay Hungry Tour. After the release of his new book (Stay Hungry) and his seriously popular radio show "The Pete and Sebastian Show" Maniscalco brings his award-winning comedy to your town! A speciality of Maniscalco's is saying what we are all thinking (except when he says it, it's a lot funnier). Expect outrageously funny moments and humour only adults will understand! Overcoming a somewhat bumpy start in stand-up, Maniscalo moved to LA at the age of 24, honing his craft while waiting tables for eight years. He caught his big break when actor Vince Vaughn spotted him and asked him to join his 2005 Vince Vaughn's Wild West Comedy Show tour. Since then he has appeared on TV shows like Comedy Central Presents, The Tonight Show with Jay Leno and Comics Unleashed. Sound good to you? Share this page on social media and let your friends know about Sebastian Maniscalco at Peoria Civic Center Theatre. Please note: The term Peoria Civic Center Theatre and/or Sebastian Maniscalco as well as all associated graphics, logos, and/or other trademarks, tradenames or copyrights are the property of the Peoria Civic Center Theatre and/or Sebastian Maniscalco and are used herein for factual descriptive purposes only. We are in no way associated with or authorized by the Peoria Civic Center Theatre and/or Sebastian Maniscalco and neither that entity nor any of its affiliates have licensed or endorsed us to sell tickets, goods and or services in conjunction with their events.